President Barack Obama will ask the US Congress for $1.8 billion in emergency funding to combat the Zika virus. The Zika virus, which is transmitted primarily through mosquitoes, has spread rapidly through the Americas. It has been linked to a condition called microcephaly, in which babies are born with underdeveloped brains. The money will go to mosquito control efforts and vaccine research programs among other initiatives. The White House says that some of the money will go towards “enhancing the ability of Zika-affected countries to better combat mosquitoes and control transmission” of the virus. The Zika virus is currently being transmitted to new patients in 26 countries in the Americas, according to the Pan American Health Organization. Additionally, the Centers for Disease Control (CDC) has confirmed 50 cases of the virus in the United States among people who had travelled to affected regions and returned to the US. There is a growing fear that as warmer months approach in the northern hemisphere and mosquitoes become active, local transmission could become a problem – especially in the southern US. Last week, the first case of locally transmitted Zika was reported in Dallas, Texas. Notably, the virus was spread in this case through sexual contact, not a mosquito bite. 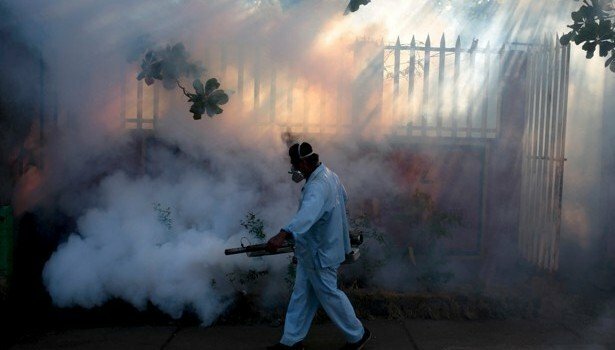 The Zika virus has had a considerable impact in Brazil, which has seen a spike in microcephaly cases – totaling around 4,000 in recent months, stirring fears ahead of the 2016 Rio Olympics. The World Health Organization (WHO) declared an emergency over the cases last week, prompting research and aid to be fast-tracked. The Reuters news agency reported that the US Olympic Committee has told its athletes and staff who are concerned about the virus to consider skipping the games. However, the Zika virus did not keep revelers home from Carnival in Rio de Janeiro over the weekend – some 70,000 fans were said to have been in attendance.